The 22nd Bay Regatta in Phuket. It's the Ultimate and All-Round Finest Yachting Event in South East Asia! This February, the largest Bay Regatta yet is heading to Phuket to celebrate its 22nd anniversary. The 22nd Bay Regatta in Phuket. It’s the Ultimate and All-Round Finest Yachting Event in South East Asia! This February, the largest Bay Regatta yet is heading to Phuket to celebrate its 22nd anniversary. ‘The Party That Sails Round’, will make its way to the island of Phuket for a 5-day celebration of SE Asia’s most beautiful yachts and cruising grounds. Join the regatta for a bursting itinerary of races, dinners, prizes and spectacular sea-based scenery! Windy, Wavy, Wet and Wild Fun Awaits at the Regatta! You are invited to one of the world’s most unique sailing regattas, exploring the world’s most incredible race courses and yachts as it celebrates its 22nd anniversary. Alongside windy and wavy fun, all guests are invited to party under the stars at the Andaman Seas leading resorts, all in celebration of the 22nd edition. The island-famous event attracts a diverse guest list of accomplished sailors, first-time racers and those looking to enjoy the experience and coastal scenery directly. 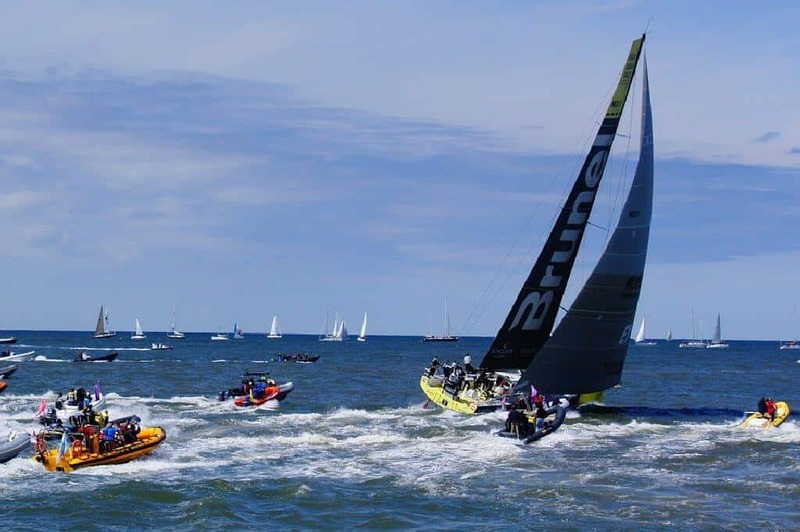 Professional racers, families and locals are known to return year after year for the event, enjoying overnight stays and experiences at incredible anchorages. All anchorages are carefully selected to enable the choice of staying onboard or at nearby local and luxury resorts. The event will stop off in Phuket in 2019, bringing with it a jam-packed itinerary that sees dozens of colourful sails take to some of Thailand’s most spectacular cruising grounds. Join the crowds as they gather to some of the world’s most stunning bays, allowing for prime viewing of all the action. The 5-day event invites guests to enjoy spectacular scenery and exclusive parties, some carrying on well into the night at some Phuket’s most beautiful beach resorts. The event was initially launched back in 1998 by a circle of Phuket-based sailing enthusiasts. Their enthusiasm was matched by a local photographer who relished in showcasing the stunning beauty of Thailand’s stunning seascapes. As the Regatta enjoys its 22nd-anniversary event in February 2019, sponsors now include the likes of Chang, The Tourism Authority of Thailand and Budget Car Rental. Check out the latest news, schedule and entry information over at the official website of The Bay Regatta over at http://www.bayregatta.com/.